Largest Fleet We have access to one of the largest bus charter fleets in Australia with over 5,000 vehicles. 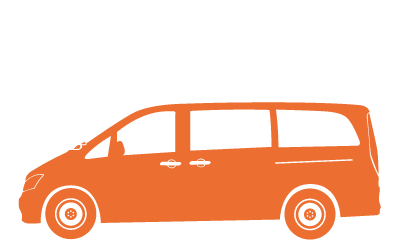 Our range extends from Minibuses to 70 Seat Coaches. Whether you are looking for a 70 seat coach or a 14 seat minibus , we are the company to call – no matter where you are in the country. 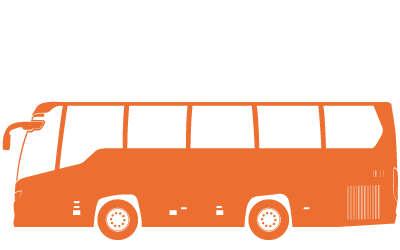 We are Australia’s number one choice for individuals, companies and organisations that require a coach hire or bus charter service. Through our vast industry network and experience, we offer you a solution to ground transportation that is unmatched throughout Australia. With our reach extending throughout each and every state and area of the country, we have an effective travel solution for your company, organisation or large group. 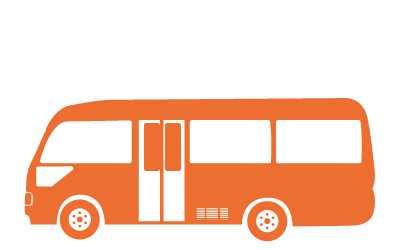 Through the diverse range of vehicle types and sizes and the ability to book in over 2,500 cities and towns through Australia (all with just 1 number and 1 email), we make it easy to organise your bus or coach transportation. We have assisted tens of thousands of clients and moved millions of people including politicians and elite sporting celebrities since our inception in 2007 in a safe and reliable manner. We can also provide connections to FlightCharter.Com.Au who provide private jet hire and helicopter charter throughout Australia. When your company’s reputation is on the line, anything less than spot on isn’t good enough. That’s why you can rely on Transport Network Australia as your trusted partner. Whether you’re organising the company retreat, taking clients on a tour or getting staff to work don’t settle for anything other than Australia’s #1 for coach hire and charter. At Transport Network Australia we understand it’s paying attention to the detail in every booking that makes the difference. That’s why all our clients have a dedicated account manager to help arrange every detail of a single trip or entire tour. Whether it’s specific vehicle requirements or detailed route and destination mapping, your Transport Network Australia account manager will be there with you to make sure you’re covered. For those times where minutes count you can keep your finger on the pulse with our exclusive GPS tracking smartphone application; the only one of it’s kind in Australia. This service is only available for specific journeys. And for those rare occasions where plans change or something goes wrong, you’re backed by 24/7 phone support from an Australian based team of trained consultants so there’s always someone to help. Transport Network Australia has access to the largest coach fleet in Australia with over 5,000 vehicles. From 7 seat people movers to luxury 70 seat coaches, we’ll be here with the best solution for you wherever and whenever you need. But it’s not just our size which makes us the #1 choice for corporates, the tourism industry and anyone who values trust and complete reliability of service. Our state-of-the-art booking and review system ensures you’re getting a coach that’s always of the highest standard, with a driver who’s been ranked and reviewed after every trip to make sure you’ll only ever be dealing with the best of the best. Since 2007 we’ve been the partner for over 100,000 transfers from individual trips to complex large scale people movements, with no journey being too large or too small. It’s our ability to provide a transport solution no matter the requirement that’s seen us become the preferred coach hire and charter company for McDonalds, Google, Channel 9 and Telstra. And now, we’re at your service. We’re proud to have transported 1,200 passengers in a day for Ernst and Young and coordinated over 1,000 individual trips during the HSBC British Lions Tour. We are the only coach company you’ll ever need – Click Here Now! Transport Network Australia is definitely my ‘go to’ company when booking buses. Their Australia wide network is extremely convenient as we have offices in Victoria, NSW and Queensland. It is comforting to deal with the one company who manages to provide excellent service at every step of the process. What a truly great service, the bus drivers were very friendly and easy going which was great and the staff in your office were so professional, helpful and friendly with exceptional customer service. Also great prices too – I can’t believe how little it cost to get such a great servce!! The buses came to the right place at the right time, loaded and unloaded passengers efficiently, delivered the passengers to the right place in time through the rush hour traffic. Like all good infrastructure the buses and their drivers simply got on with the job to the point of being unnoticeable. “Transport Network Australia are proud to provide an unmatched ground transport service throughout Australasia. We have been fortunate enough to work with elite sporting teams, politicians, celebrities and some of the world’s largest companies.